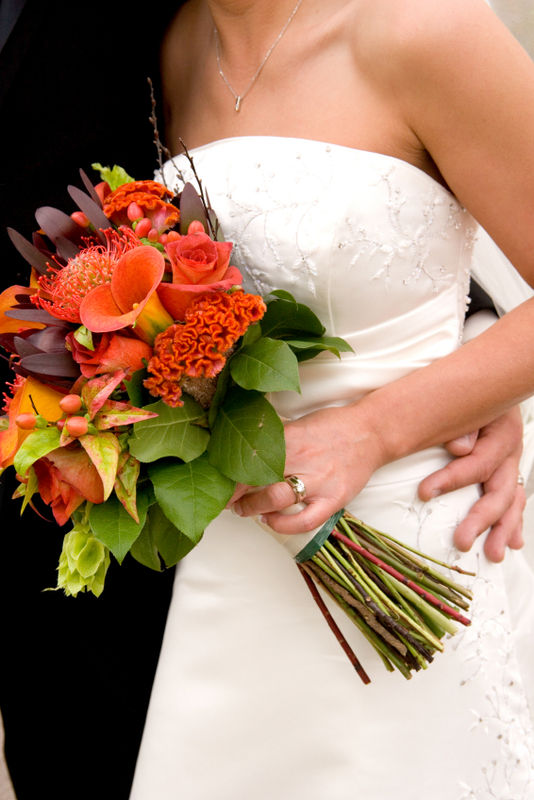 Have you ever thought why brides carry bridal bouquets? The bridal bouquet holds a traditional spot in a wedding as it is a reflection of the bride and a representation of her style. This special arrangement is a rich symbol of purity and fertility, and has accompanied brides for centuries. The bridal bouquet was originated in ancient Greece; it was carried by the bride to scare off evil spirits while she walked down the aisle. Upon arriving to the arms of her groom, she would toss her bouquet to spread good fortune to the other single ladies. The Greeks also utilized special herbs and flowers in wreaths for the celebration, which were worn by members of the family as a sign of respect. During the Victorian era, flowers developed special meanings to lovers and many blooms became wedding favorites. The rose represented love and passion, whereas lilies became a sign for purity. Dutch tulips became very popular as well and were portrayed in many important events. New styles were also created such as the posy and the biedermeir, which became a hit among young brides. Nowadays, the bridal bouquets are composed mainly of fresh flowers in the color scheme of the affair. Popular wedding flowers include roses, lilies, mini callas, hydrangeas and peonies. For exotic affairs, orchids are the favorite blooms chosen by brides. Fragrant flowers such as garden roses, freesias, lilacs and have been part of wonderfully scented bouquets. The styles have also changed, and now hand tied, cascading and nosegay bouquets are very popular. Bridal bouquets are one of the most important details of a wedding, and one of the most meaningful. Buy your bulk wedding flowers are www.Fiftyflowers.com.